Discover What You’re Brilliant At! 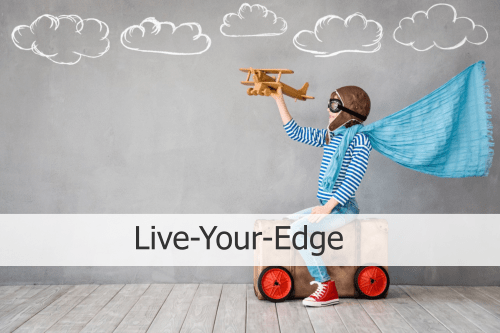 Live-Your-Edge is unlocking the technology the professionals use to help ‘busy’ people discover what they’re uniquely brilliant at. Everyone is brilliant at something, and discovering that ‘something’ will allow you to reclaim your sense of purpose so you can make the changes you want. Busy people often spend their lives working hard, only to end up going round in circles which can lead to increasing levels of stress and overwhelm. But unlocking that ‘one-thing’ that nobody else can do quite like you will provide you with the clarity and confidence you need to breakthrough whatever’s been holding you back. Most of us have a real blindspot when it comes to knowing where our personal brilliance lies, so it can be frustrating to not know how to access it. So, if you’d like to learn how to access yours in a way that makes perfect sense…for YOU – the ‘5 Keys to Discover Your Brilliance’ will show you how! The Inner-Genius Project is for those who are ready to unlock their inner-genius and discover what they’re uniquely brilliant at. Everyone is brilliant at something and not only does this hold the key to what will bring you the most fulfilment in-life, it will also reveal the things you are best at…as these are ultimately one and the same. Discovering the EXACT nature of your inner-genius will help you to become crystal-clear about how to leverage that ‘one-thing’ that nobody else can do…quite like you. And this will allow you to reclaim your sense of purpose and make the changes you want with the type of clarity and confidence you’ve been seeking. Knowing what you stand for is power but being crystal-clear about how to leverage it in a practical sense is ‘genius’! And the Inner-Genius Project has been specifically designed to lead you step-by-step to show you how! The People-Genius Project is for those who want to leverage more of their inner-genius with others, so you can master the art of shifting your most challenging and potentially rewarding interpersonal relationships to the next level. Navigating our key relationships is often one of the most challenging areas to master, as these are the people who potentially have the greatest influence or impact upon us. Perhaps you would like to improve a particular workplace dynamic which is currently holding you back. Or maybe you would like to focus on someone in your life you currently find ‘difficult’, or ‘challenging’ . Or maybe you simply want to learn how to hold-your-ground and establish healthier boundaries either at work or at home (and even say ‘no’!). This project is for those who would like to master the dynamics under-pinning even your trickiest relationships so you can improve the impact they have on you, by developing more of the type of influence you REALLY want. Being able to live-your-edge simply means feeling great more of the time. Hopefully we all have moments of feeling great, but inevitably these tend to ebb and flow as life’s ongoing pressures accumulate. So, what if you could feel more resilient, energised, inspired and fulfilled – despite the inevitable ups and downs – more of the time? So many of us go through life simply living the same day over-and-over – and call this a life. Nicola is currently based in Sydney, Australia and is a highly qualified professional business mentor and executive coach, as well as a successful entrepreneur who has left big-business behind…to live-her-edge! With an extensive corporate background, Nicola is passionate about empowering ‘busy’ professionals who are currently feeling off-track, or stuck, within and uninspiring job or career to feel more inspired and in-control of navigating the type of success they really want. As an entrepreneur, she is also passionate about championing those who are looking to combine a new type of personal fulfilment with extraordinary results, on their own terms. Nicola has coached hundreds of senior business leaders from all over the globe, from multinationals to medium and smaller-sized firms. She has travelled extensively and worked cross-culturally, playing a leading role in the development of one of the first successful global online executive-coaching companies. An energised do’er, she enjoys combining her love for tangible business success with her true-gift for inspiring those within it to discover what they’re uniquely brilliant at and unleash their inner-genius in a tangible and inspiring way. She uses proven professional executive coaching technologies, and is highly qualified in the art of combining real-time results with transformational mindset shifts. 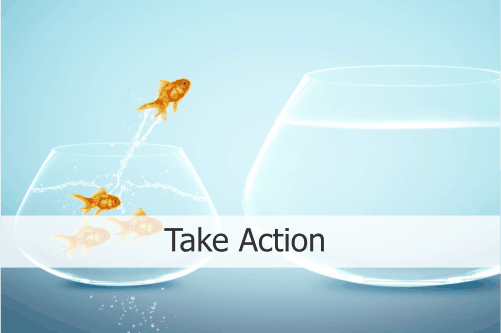 Nicola believes that all change feels exciting if focused correctly, and that life should feel exciting! However, this type of excitement is often lost amid the daily pressures of living ‘life as usual’ and is actually far simpler to achieve than many believe is possible. A gifted Coach, Nicola has developed her current offerings to bring her lifetime of knowledge and skill to those in search of ‘something more’. Are you addicted to giving away your power? https://nicolapalk.com/wp-content/uploads/2017/08/enjoying-nature.jpg 1328 1999 Nicola Palk https://nicolapalk.com/wp-content/uploads/2017/07/NicolaPalkLogo.png Nicola Palk2017-08-24 02:47:462019-03-23 02:57:00Are you addicted to giving away your power? Is authenticity the secret to self-confidence? https://nicolapalk.com/wp-content/uploads/2017/08/violet-hair.jpg 1334 2000 Nicola Palk https://nicolapalk.com/wp-content/uploads/2017/07/NicolaPalkLogo.png Nicola Palk2017-08-22 03:03:512019-04-03 02:28:23Is authenticity the secret to self-confidence?